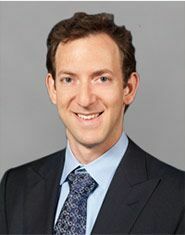 Home / About Us / Meet Our Physicians / David J. Hergan, M.D. Dr. David J. Hergan is fellowship-trained in orthopedic sports medicine, and specializes in the latest arthroscopic and minimally invasive procedures for the shoulder, knee and hip. He has a special interest in hip preservation and is a national instructor of hip arthroscopy for the treatment of hip impingement and labral tears. Dr. Hergan is board certified by the American Board of Orthopaedic Surgery.